Sushi is probably the dish that is the most instantly recognisable as Japanese across the world, so of course, the question of where to eat sushi in Tokyo is at the top of everyone’s list when they visit! 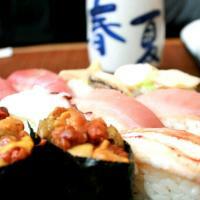 Let a host show you how and where to eat sushi like a local! Together, choose the neighbourhood you want to explore or let your host recommend one, and experience four very different ways of enjoying sushi - just be ready to dive in chopsticks first. From feasting on the best cheap sushi at a kaiten-zushi joint to splashing out at sky high rooftop venues, five seater restaurants loved by sushi purists to crazy joints where you catch your own fish, you’ll discover that there really is incredible sushi available for every vibe, budget and taste. Along the way, your host will share tips with you on how to eat sushi like a local, how to spot a good sushi restaurant and the best sushi hacks around - did you know that you’ll find some of the best sushi in Tokyo in the basement of department stores?! 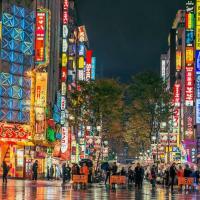 You’ll eat your way around a neighbourhood which suits the kind of experience you’re looking for - maybe you’d like to experience the crazy, inclusive and fast paced mayhem of Shinjuku, or maybe you’d prefer to venture to an area like Ikebukuro, a business district that’s known as the entrance to suburbia where you’ll find plenty of commuters, and almost as many sushi restaurants! 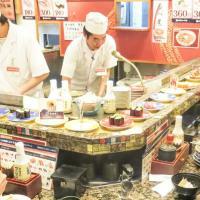 Head to a kaitenzushi restaurant, which means sushi train or conveyor belt. Sushi train restaurants usually serve sushi closer to the budget end than high end, and are the perfect stop for a lunch-time visit. Maybe you’d like to go sky high and enjoy sushi with a view from an (almost) rooftop restaurant, or maybe you’d like to get lost in the streets of suburbia and squeeze in to a tiny sushi joint where you’ll be amazed by the delicacy and intricacy of making sushi as you watch the chefs at work. 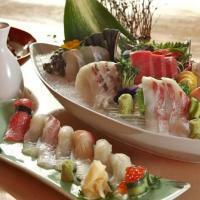 You could even opt for something completely off the wall and head to a sushi restaurant where you catch your own fish! Whatever your style, along the way you’ll learn how to eat sushi like a local, discover just how highly respected sushi and sashimi making is in Japan and glimpse into the intricate art form that is making it. Your host will also teach you how to spot a good sushi restaurant, the need-to-know sushi etiquette that will stand you in good stead for the rest of your trip and recommend other restaurants to try.